Can’t Stop Itching and Scratching? ✓ Are you frustrated that nothing has worked? ✓ Are you dreading the next itch attack? ✓ Does Neurodermatitis threaten your career? ✓ Is your thinking driving you crazy? ✓ Are you ashamed when others see your skin? ✓ Do you miss exercising or going to the beach? ✓ Are you worried of not living your purpose? ✓ Are you afraid it will never end? “The skin started to heal without using any creams. I had been suffering for over 10 years. I had seen doctors for advice. I had tried different ointments and medications, but nothing was helping. The itch/scratch attacks kept coming. And even though I hated myself for scratching my skin I could not stop doing it. I could not enjoy quality time with my family or friends. I had to hide my scratched skin under my clothes. I did understand that Neurodermitis is related to stress. But I did not want to take the medications to deal with stress. I was surfing the internet for another ideas or advice for how to stop my suffering. I came across the Apsolvo website and the Ending Neurodermitis program. I got in touch with Guido and started my journey towards ending my nightmare of bleeding/dry skin. I did not believe it would lead to the success but I was desperate to try anything. It was a fantastic experience to work with Guido. Some of the sessions were very intense and tiring for me. But after each session I felt very relaxed, happy and full of new and very interesting thoughts. I felt at ease. I started to understand that my Neurodermitis was caused by imbalances in my mind. Trauma/memories from the past. I learned how the mind works. I have learned that a lot of things exist only in my fantasy. I began to see the benefits and drawbacks to situations that were challenging me. I also learned about synchronicity. Seeing my life in a new way with balanced perceptions, lead to feeling loved and happy, instead of feeling frustrated. Towards the end of my 12 sessions I could see healing in my skin. The skin started to heal without using any creams. It was an amazing feeling …. The wisdom I gained from the sessions with Guido brought me much more happiness and joy. Both at work and with my family. It made me look at my life completely differently. It is hard to believe, but now I am saying thank you to my Neurodermitis. It helped me to find happiness in my life. I will be more than happy to have more sessions with Guido. There are still so many interesting things to learn. Once again a massive Thank You to you Guido. For showing me the way to stop my suffering and start enjoying a fulfilled life. What Makes Apsolvo So Different? If you suffer from Neurodermatitis, you know how irritating the constant scratching is. When you keep scratching even when your skin is already bleeding from the last attack. You have promised yourself to never scratch again. And find yourself taken over by another uncontrollable urge to scratch. 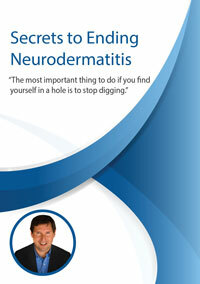 Besides the painful skin there are more challenges that come with Neurodermatitis. Most people feel ashamed of their skin, which affects their relationships. Lack of confidence impacts career choices and career advancement. The resulting identity crisis leaves many people with Neurodermatitis feeling lost and confused. Living a purposeful life is difficult, when Neurodermatitis has taken over. Not being able to enjoy the beach or working out like other people creates a feeling of isolation. Depression and anxiety are common side effects. Living with Neurodermatitis creates many painful challenges. The next challenge that you will encounter is the lack of a permanent solution. Most likely you have consulted doctors, without success. Cremes have given you some temporary relief but it was not permanent. You keep searching without finding the relief you are looking for. Most people have the illusion, that Neurodermatitis is curable from the outside. It keeps them desperately looking for a solution where it is not. They are stuck on the idea that somewhere there is a quick fix available that will take all troubles away. The reason why no external remedy is working, is very simple. Like the other 100 autoimmune diseases, Neurodermatitis is labeled incurable. “In curable” means to be cured from within! Neurodermatitis is the expression of an inner conflict through your skin. Admiring or resenting others, creates self-righteous and self-wrongeous personas in your mind. Those “personas” represent the goals and ideals of the people you admire/resent. Personas are present in form of internal imperatives. It is the inner voice that tells you what should or need to do. As a result, there is a “dominant thought” pattern that overrides one’s intrinsic values. This dominant thought competes and interferes with your own life goals and aspirations. The driving force behind the itch/scratch pattern. Before Neurodermatitis starts, a significant change has happened. The typical trigger is a change in relationships or work. Extreme stress and depression is the result, you feel stuck, frustrated and confused. Within weeks or months your skin begins to act out. Neurodermatitis is among the 50 most common diseases. Different sources estimate that 1-2% of the population suffer from Neurodermatitis. (70-140 million people worldwide) People with Neurodermatitis have many things in common. The perception of not being successful and loved, they are looking to be perfect and to be loved. They expect of themselves to do great things in their lives. There is somebody who they look up to for being successful and admired. They have a hard time loving and accepting themselves. They don’t feel comfortable in their own skin. It’s very important to them that they can do things their own way. They have a love/hate relationship with a close relative. There is somebody close who they want to save. The Apsolvo method is revolutionary, because it directly addresses the cause of Neurodermatitis. Instead of focusing on the symptoms, the focus is on the inner conflict that is causing the symptoms. It is a permanent solution that resolves the related issues as well. Balance and harmony is restored. Having a new sense of self. Relationship issues are being resolved. Clarity around purpose and life goals. Frustration transforms into inner joy and happiness. Feeling part of family and society. Intuition and inner wisdom replace confusion. How does it work – decoding Neurodermatitis? Our perceptions define our psychological makeup. It is our perceptions that create the way we see the world and ourselves. Perceptions that support our values we perceive as positive. Perceptions that we perceive as threatening to our values we will fight and resist. The itch-scratch cycle is a behavior created by our animal mind. It is an automatic and repetitive fight-flight mechanism that is beyond reason. 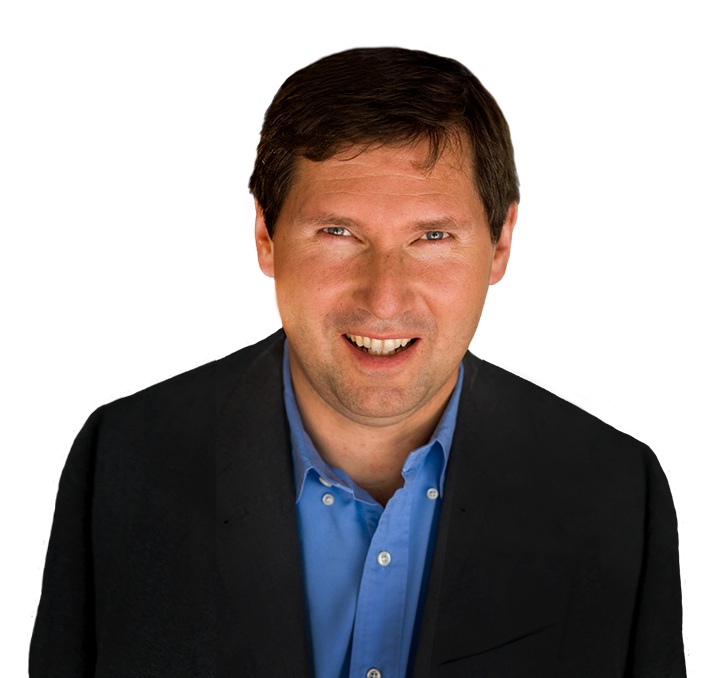 The Apsolvo method focuses on identifying the “dominant thought”. Once identified it can be brought back into balance by asking quality questions. Part of this process is to uncover one’s innate and unique life priorities. A very effective process anybody can follow if they chose to. As a result the self image and image of the world has a new meaning which leads to a resolution of the inner conflict. The process is very different from other methods. The focus is on finding meaning and understanding of life’s events. The Apsolvo process is taught by Guido Walter. After 4 years of suffering from Neurodermatitis Guido found a solution. Since 2005 Guido has been sharing his knowledge with hundreds of people. Your could be free of your suffering in a few weeks! If you are ready to end your suffering than please don’t postpone the greatest gift you can give to yourself! The gift of freeing yourself from the pain. The gift of getting your life back! Think about the endless suffering and frustration. How much longer do you want to endure the itching and scratching? Think about how much you are missing out. Not being able to exercise or going to the beach. Think about the shame and embarrassment of not being able to control your itching. Avoid your symptoms becoming even worse! The longer you wait, the more ingrained the scratching habit becomes. A 90-minute video call for your first breakthrough experience. Together we will create an individualized plan. 90 % of people experience a complete recovery within 12 sessions. Breaking the itch-scratch cycle of Neurodermatitis is torturous. We created a process that resolves the issue at its core that helps our clients find relief and get their life back. How much is Neurodermatitis costing you? How much is Neurodermatitis costing you? How many times have you told yourself that you will never scratch yourself again? How many times have you been looking for a solution only to be disappointed again? How much longer are you willing to endure the depression and frustration of not knowing what to do? Can there ever be change if you keep doing the same thing? What would happen if this nightmare never ends? We only work with you if you have already seen a doctor! Download Your Free Guide that will help you understand important information about Neurodermatitis. If you do not experience any of the items on the left we give you your money back. 90% of the participants experience a complete recovery of their skin, something we do not guarantee. Some people need more than the initial set of sessions.